Graphic designers today are already capable in making both creative and realistic designs through the help of the available resources they can find on the internet. One example of this is this set of Photoshop brushes that comes in different forms and sizes. With this Photoshop tool, we are able to add various elements to our designs (fireworks, drips, or wings) in just a few clicks, easy peasy! 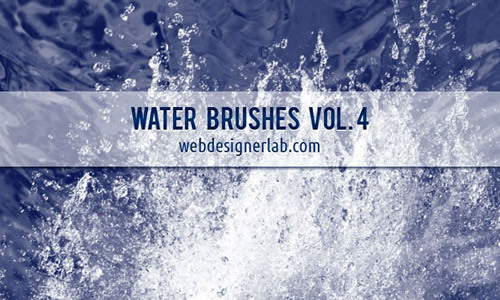 With the need to have some water effect in several types of designs, there is also an equal demand for Photoshop Brushes in order to make the designs look more realistic, attractive, and even saleable as what most designers aim for their creations to be. For this update, we have added more brush resources for our readers to use. They are all free to download so have fun choosing your favorites and enjoy them. Scroll down and check them all out. Come, take a peek, and choose your best picks! 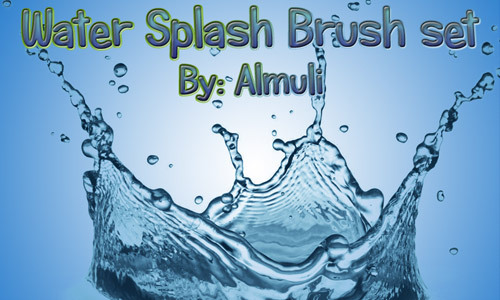 Here is a set of brushes that contains 36 water-theme elements such as waterfalls, water dews, waves, splashes, and more. They are all compatible for Photoshop 7 and the later versions of Adobe Photoshop. These brushes can be used for commercial designs granted that you give proper credit to the owner of the brushes. 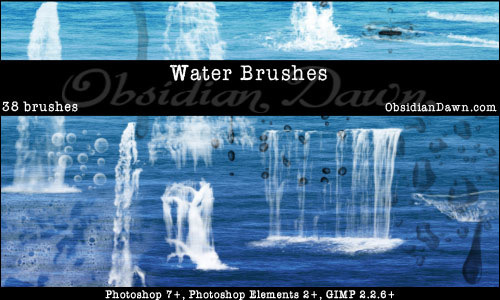 This brush set contains 9 hi-res brushes of water surfaces and waterfalls. They come in a range of sizes from 1145px to 2400px. These are available for prints and other designs as long as you will credit the owner of this stock. In this set, you have 5 brushes of ripples, droplets, and sea surfaces that you can use to add water elements to your design. Four of these brushes have sizes that range within 480px to 640px, while one is in 1600px. FYI, all of these brushes were made in Photoshop CS3 and compatible to versions CS3 and higher. Before you go on, be sure to see this cool collection of useful PS brushes that you can use for your current or upcoming design projects. This next downloadable brush set includes 30 brushes that can be used for Adobe Photoshop as well as GIMP. They are compatible to Photoshop 7 & higher versions and GIMP 2.2.6 & higher versions. This set includes wave textures, waterfalls, water stains, splashes, and more. To top it off, all of these brushes are hi-res, with the sizes ranging approximately from 1000px to 2500px. Here we have 3 brushes for Photoshop 7 and its newer versions. The brushes are made from big waves and seashores. Their sizes ranges vary from 800px to 2150px. In this next pack, you get to have 3 different brushes of water reflections in high-resolution sizes (2429px, 2400px, 2500px). They are perfect in adding some “water” texture to your design. 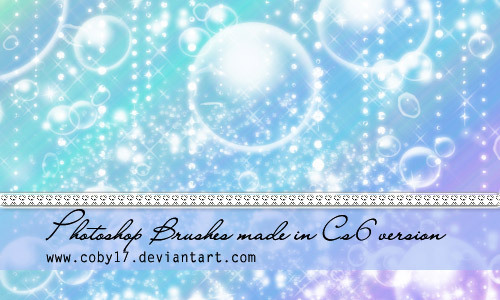 You can check out the descriptions to find some tips on how to use these brushes. 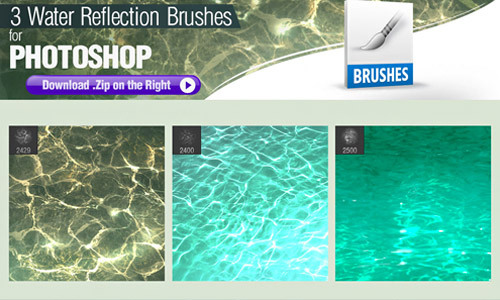 This brush set also includes 3 brushes of different water reflections. These brushes were created in Photoshop CS3 and come in different sizes (480px, 800px, 960px). One more thing, these brushes also change in shape and size everytime you apply them on the canvas to avoid repeating patterns. This pack contains 5 brushes for Photoshop that were created from Photoshop CS2. It includes ripples, water droplets, and water surfaces. In addition to the download, you also get the PNG versions of these brushes. 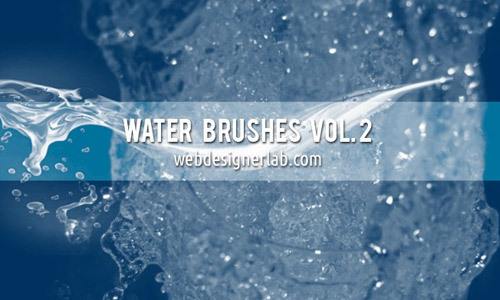 For this next set, you gain 16 brushes of various water elements that you can add to your work. 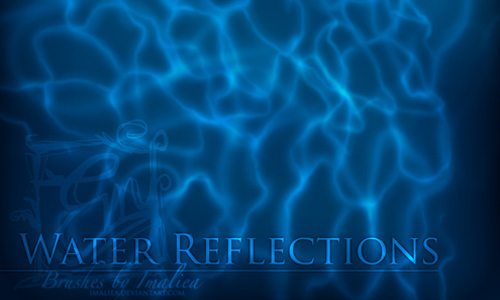 These ABR files include water ripples, droplets, swirls, water reflections, and more. They are compatible for Photoshop 7 and the later versions of Adobe Photoshop. This next pack includes three small sized brushes (332px, 335, 337px) and another three large sized brushes (1008px, 1312, 1948px). They are made in Photoshop CS. 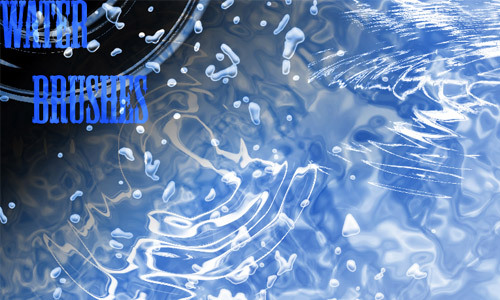 This one pack also includes 6 brushes of water surfaces and reflections that you can download and use if you’re going for some water textures in your design. The sizes of the brushes vary from 800px to 1000px. 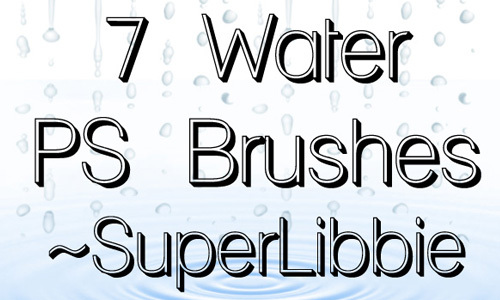 In this next brush set, we have seven brushes in ABR format of water drips, splashes, water reflections and surfaces. 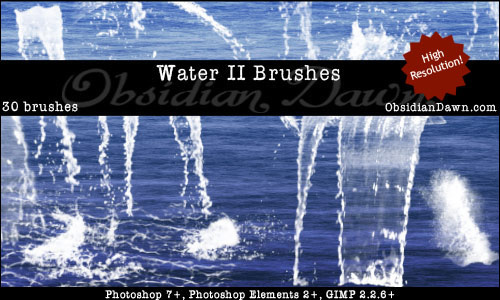 Here are another brushes for Photoshop that you can use in adding water elements in your design. 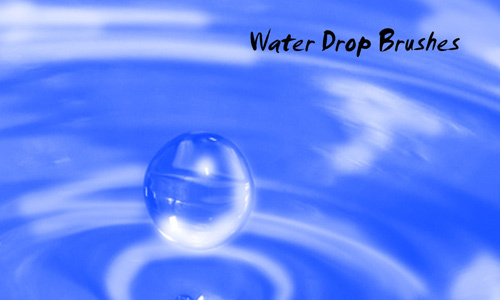 In this pack, you have eleven brushes of water drop images in crisp detail. The ranges of this brushes ranges from approximately 400px to 500px. 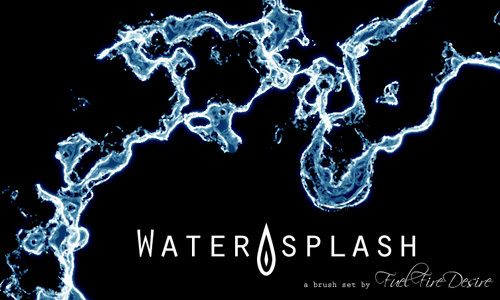 After the water drops, here we have a whole pack that is dedicated to water splash brushes for Photoshop. 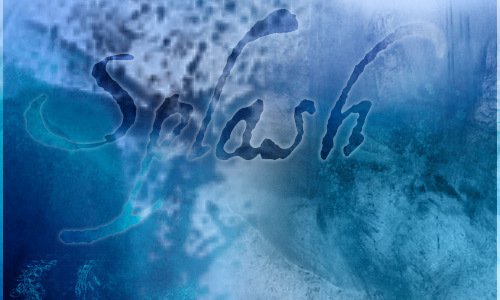 It holds 15 different images of splashes in small sizes and are great resources in adding some spill and splash details to your design artwork. Here we have another set of Photoshop freebies that is comprised of 19 cool splash brushes that are made from Photoshop CS2. They are compatible to all CS and CC versions and Photoshop. 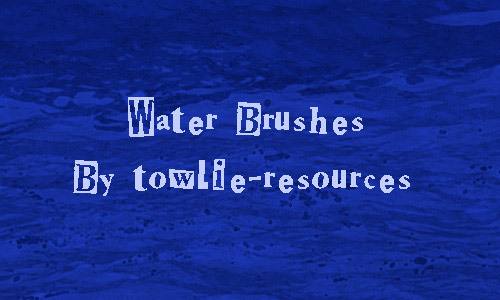 These brushes can either be used for designs that needs a little water effect, or as backgrounds with their high-resolution sizes from 2300px to 2500px. They are for personal use only. This ABR file is containing 5 hi-res brushes that can be used to add some water stains, droplets, splashes and more to your personal designs. Four of these brushes have larger sizes that are between 1500px to 2100px, while the fifth brush is in 900px. 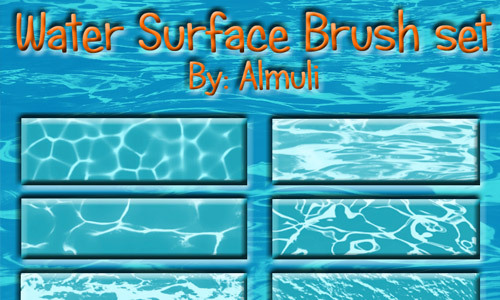 In this other brush set, you’ll get 5 brushes of different water surface textures that you can use as backgrounds or additional effect for your work. They all come in 1600px size. This one is not a pack or set, instead this is a single Photoshop brush of a realistic water surface. 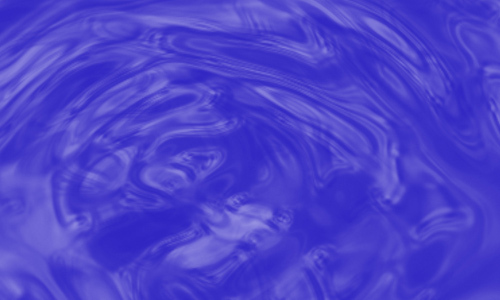 It can be very useful when used for backgrounds, textures, and other styles that you can think of to achieve a water effect on your design. 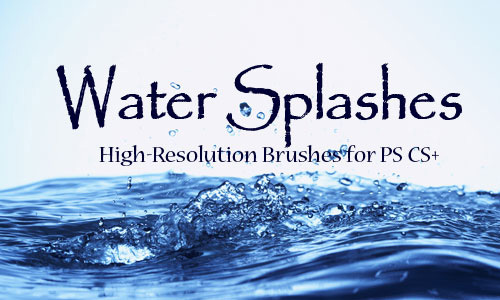 This brush set consists of five detailed and realistic water brushes that range from 700px to 800px. 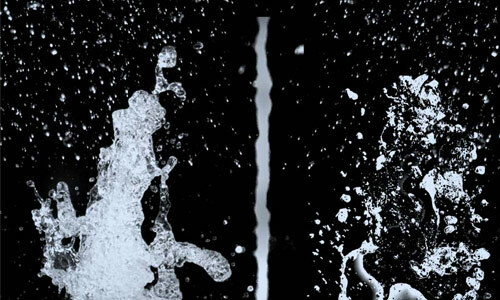 These can help your work if you need a realistically looking water splash effects. 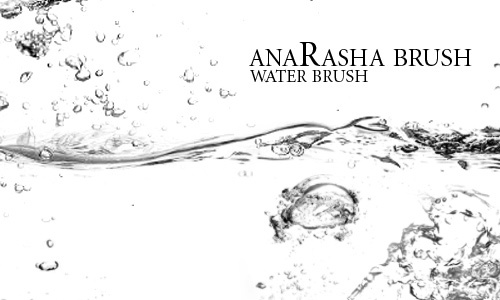 For this brush set, we have 16 brushes of water droplets, splashes, and dews. Its sizes range from 200px to 670px for your watery design. This next thing is a huge that consists 36 brushes that were made in Photoshop CS3. It includes different shapes and images of water splashes in sizes ranging from 700px and 2500px. They can be used for Photoshop and GIMP. 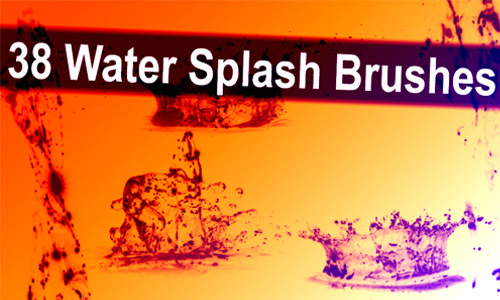 Here is another pack of five water splatter brushes that will give you a splash effect to your current or upcoming design. These brush sizes vary from 280px or 860px. In this next brush set, you also get to have a bunch of seven splash brushes that were made in Photoshop CS3. 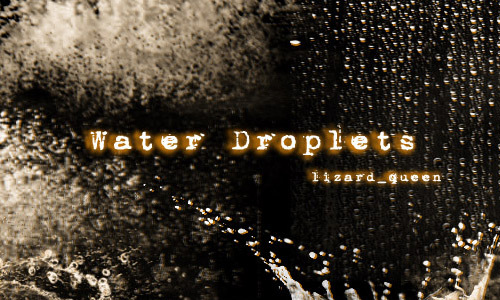 It also includes droplets and ripples water effects. 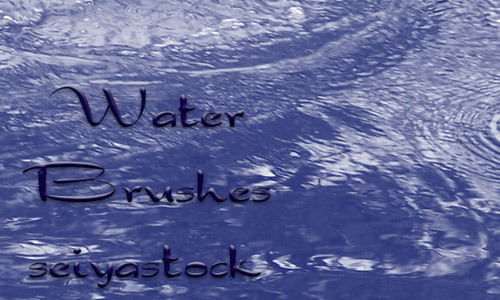 This is another collection include 12 beautiful large brushes with splash, ripples, and anything water, all perfect when you’re trying to achieve a water look, or you just want to add some water effect to your canvas. 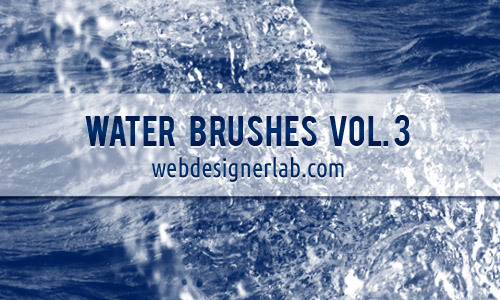 This third volume pack includes 10 water brushes that have sizes in 1800 pixels and larger which can be great for your high res designs. 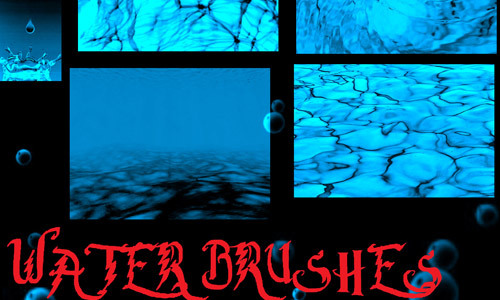 These brushes are compatible for Photoshop CS3 and Photoshop’s later versions. To top it all off, they are all free for personal and commercial designs. 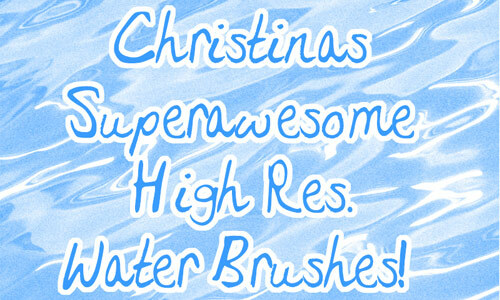 This is another volume of hi-res water brushes that you can use for your personal and commercial projects for free. They were created in Photoshop CS3 in 1254px to 2475px sizes. 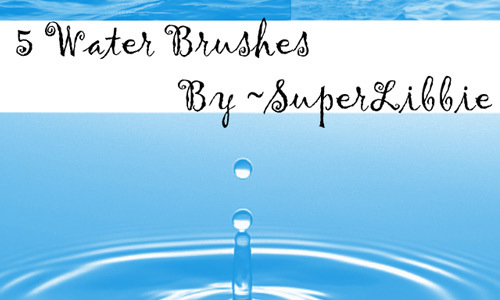 This pack includes brushes of water drops, splashes, ripples, and water surfaces. 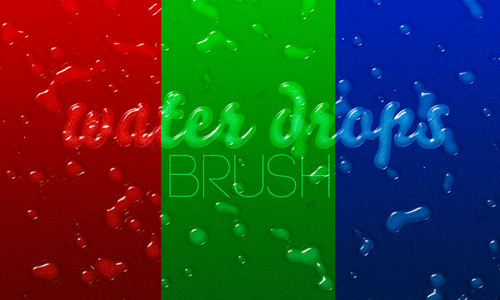 This brush will give you realistic water droplets all over your design. But for it have a “watery” effect; you also need to install this layer style. Here is a set of five splash and spill brushes. 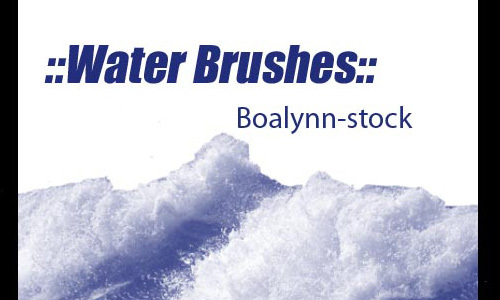 These brushes will give you realistic water effects. Four of these brushes have sizes that are in average 900px; the other one is in 430px. This last pack of seven brushes comes with water droplets, dews, bubbles, plus the sparkles to add up some spice to the design. 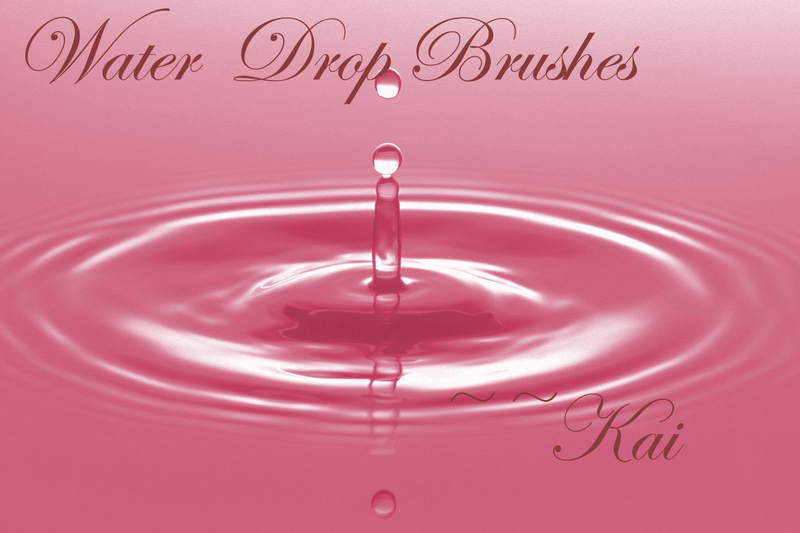 From water to its droplets, these photoshop brushes has been provided by really skilled artists for another time-saving way. Ever been needing brushes recently?